Sam Bowen made a successful first defence of his Lonsdale belt to keep up his unbeaten run. The talented super-featherweight was in action on Saturday night at the Morningside Arena in Leicester, exclusively live on BT Sport. Bowen, who won the title against Maxi Hughes last year, was last in action in October at the same venue when he knocked out Horacio Alfredo Cabral inside six rounds to claim the vacant WBO Inter-Continental crown. And he produced a more than competent display against Jordan McCorry as he kept hold of his British crown. The fight was something of a slugfest, with the challenger deducted a point in both rounds six and seven, but Bowen – managed by Carl Greaves – won the majority of the contest before the referee Marcus McDonnell decided that he had seen enough and called a halt to proceedings after 33 seconds of round number nine. Bowen will now look to push on and potentially secure a couple of other quick-fire defences of the British title before stepping up to European and world level. 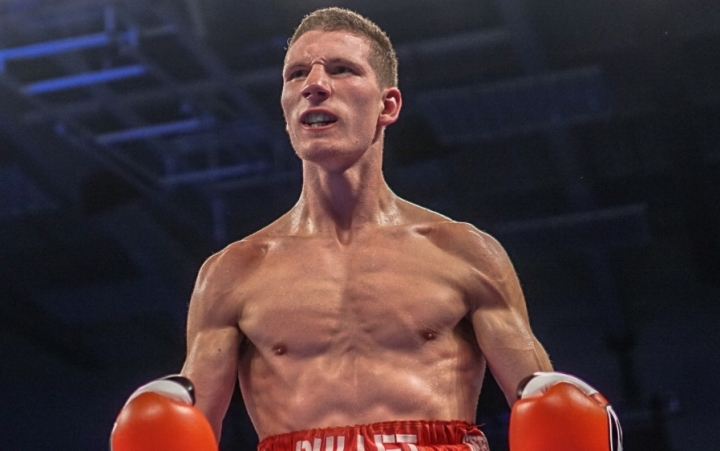 And in the final fight of the evening, Willy Hutchinson secured a seventh straight pro win against Daniel Borisov, who was deducted a point for holding – and dropped twice – in the third of four scheduled rounds before eventually being stopped in the final round.